U.S. District Court Judge Amy Berman Jackson rules that political consultant and former Trump campaign chairman Paul Manafort breached his plea deal with special counsel Robert Mueller by intentionally lying, about three of five matters, to investigators and the federal grand jury. 2019-03-22 Special Counsel Robert Mueller delivers a report on his inquiry into Russian interference in the 2016 elections to Attorney General William Barr, who is expected to summarize the findings for congressional lawmakers in the coming days. 2018-09-14 Former Donald Trump campaign chairman Paul Manafort agrees to plead guilty in a foreign-lobbying and money laundering case brought by special counsel Robert Mueller. Manafort has agreed to cooperate with the investigation. 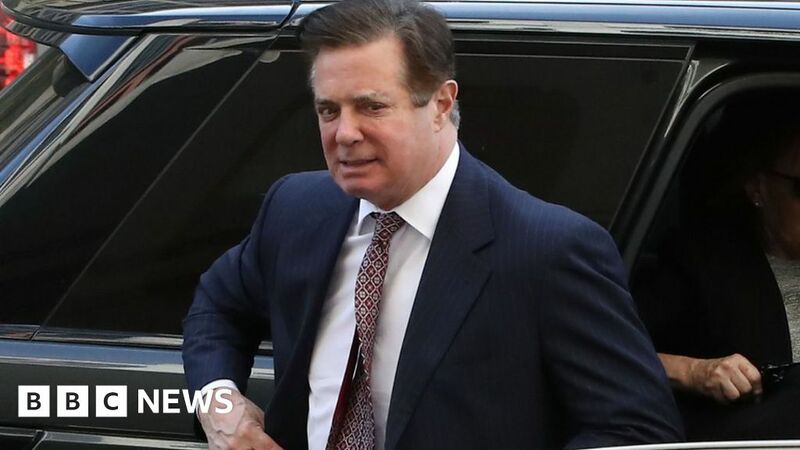 2018-07-31 The former campaign chairman of U.S. President Donald Trump, Paul Manafort, appears in court for the opening day of his criminal trial on 18 bank and fraud charges brought by special counsel Robert Mueller. 2018-06-4 In a new filing, special counsel Robert Mueller accuses Paul Manafort of witness tampering. 2018-02-22 Special Counsel Robert Mueller files a 32-count indictment against political consultant and lobbyist Paul Manafort and his aide Rick Gates in the Eastern District of Virginia for multiple crimes including tax evasion and bank fraud.